MORGAN - SWINDON, THIS IS SWINDON. In 1907 Mr Thomas Charles Morgan is listed as a mineral water manufacturer based in Crombey Street. Mrs Annie Jane Morgan is listed as a mineral water manufacturer in Crombey Street in the 1911 business directory. The MORGAN business ﻿﻿also included a Saw Mill and a Timber ﻿﻿yard which all operated from their premises in Crombey Street, New Swindon. 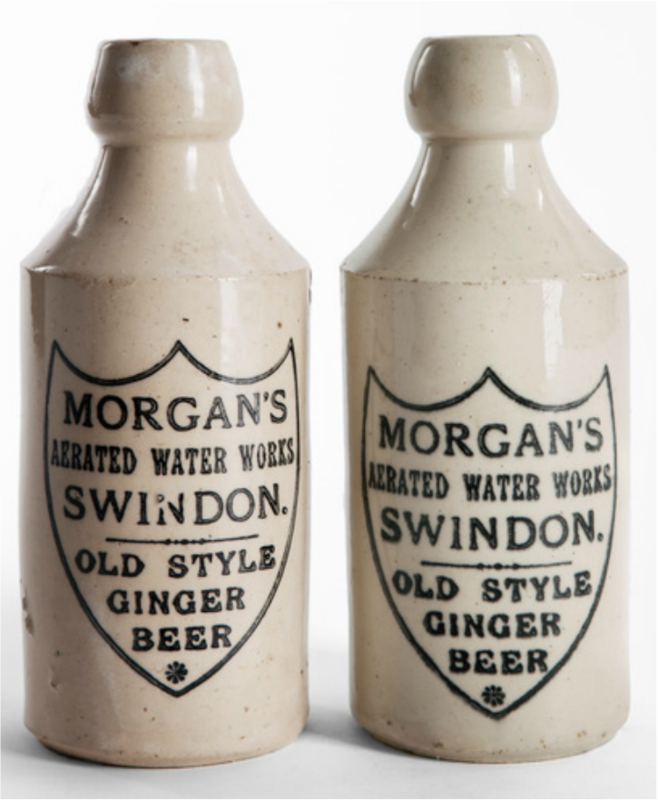 At the end of May 1911 the SWINDON AERATED WATER SUPPLY COMPANY was formed and purchased the whole of the Morgan business.